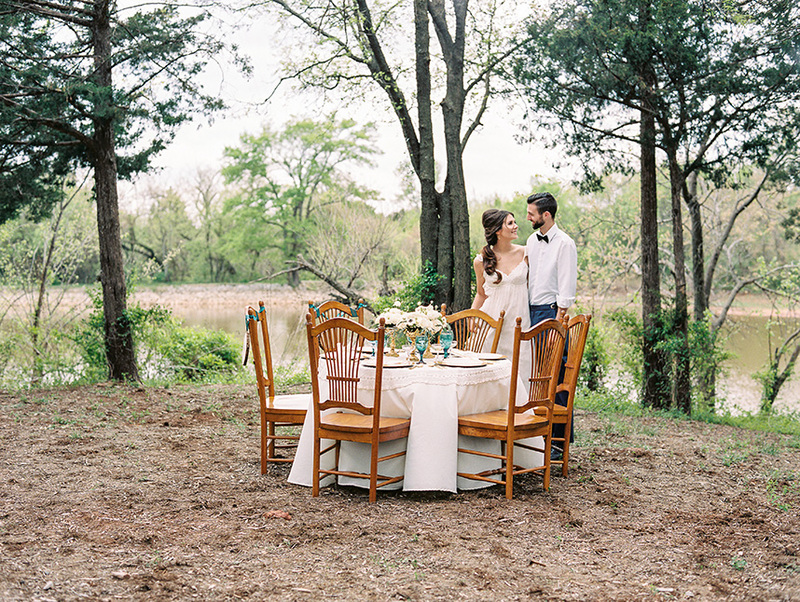 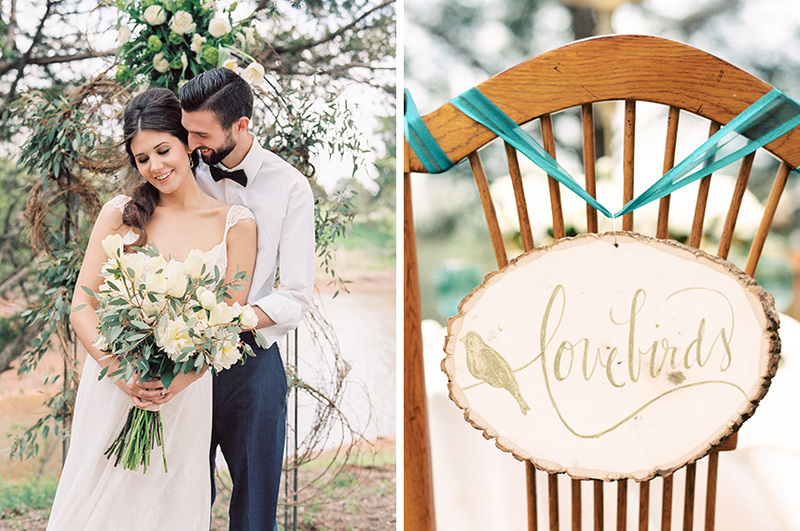 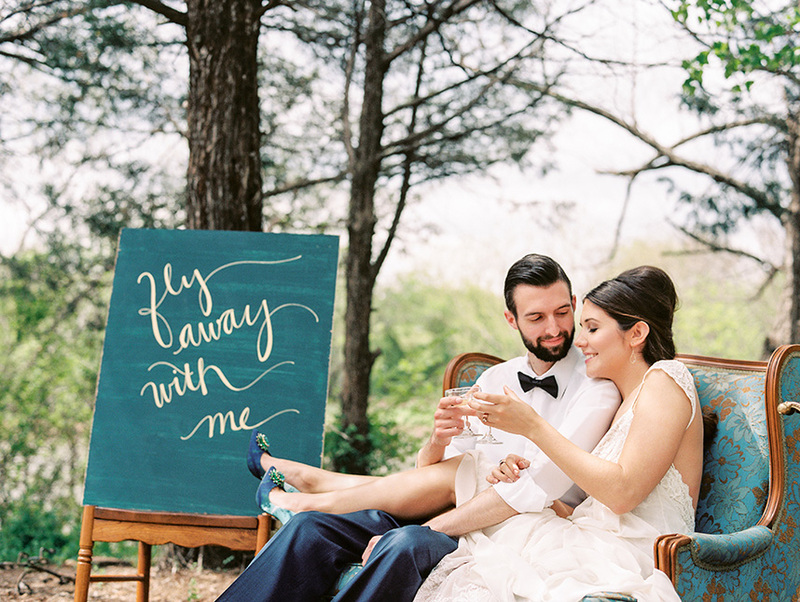 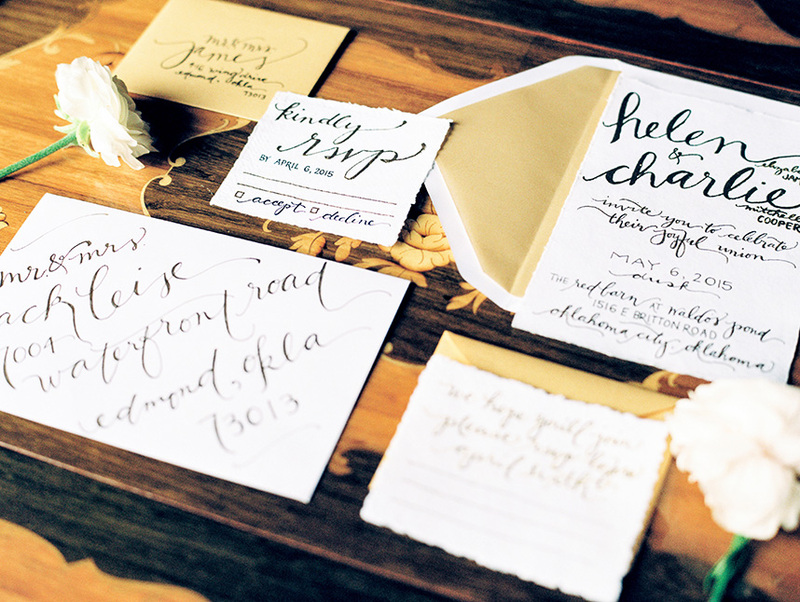 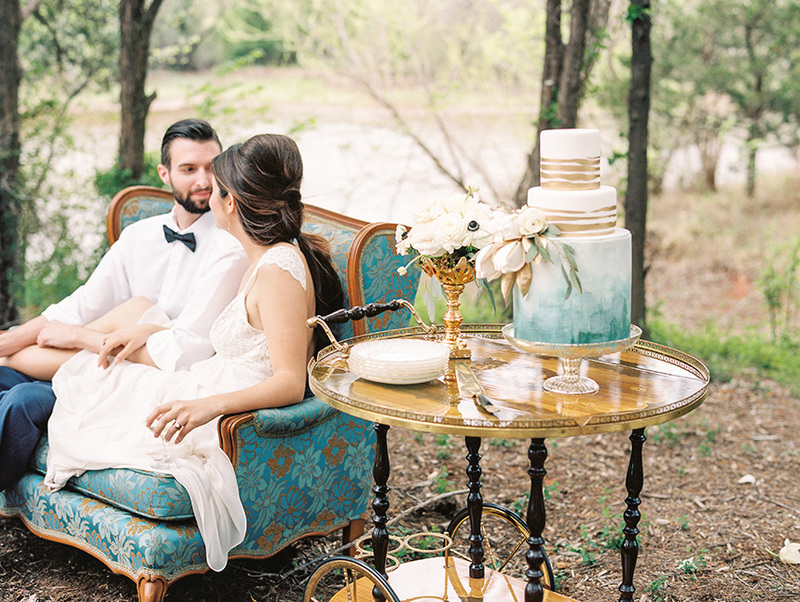 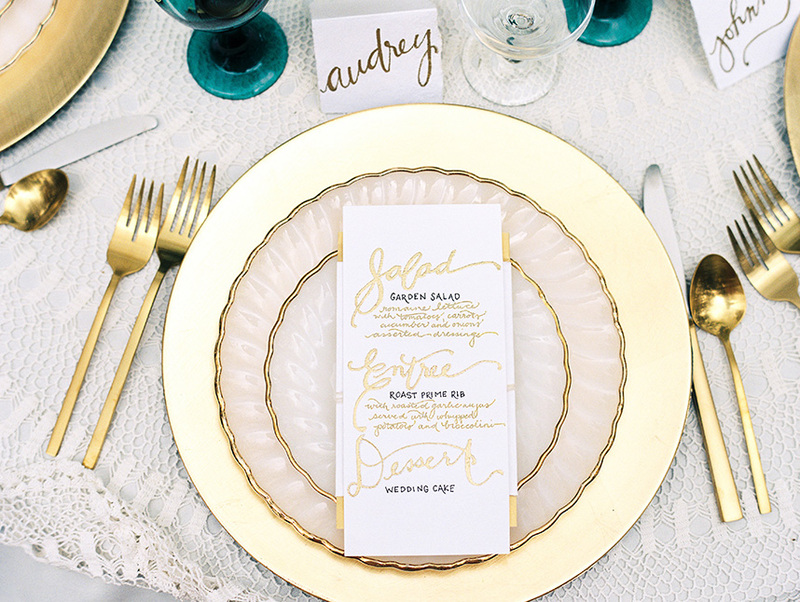 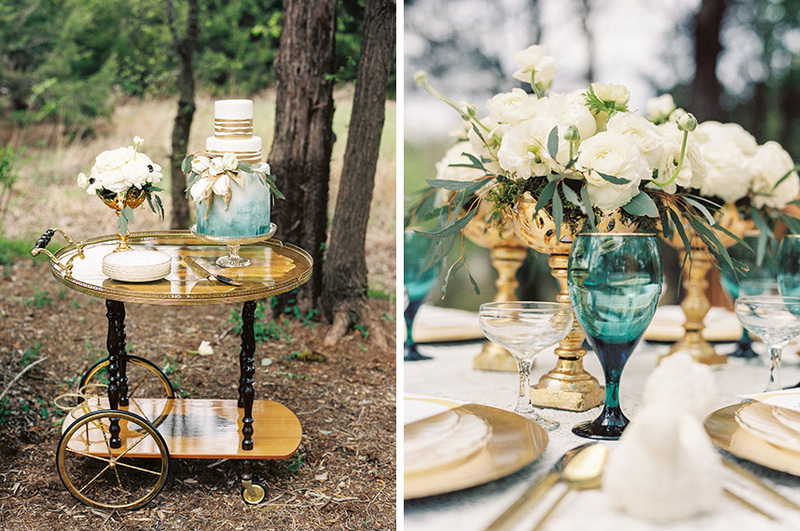 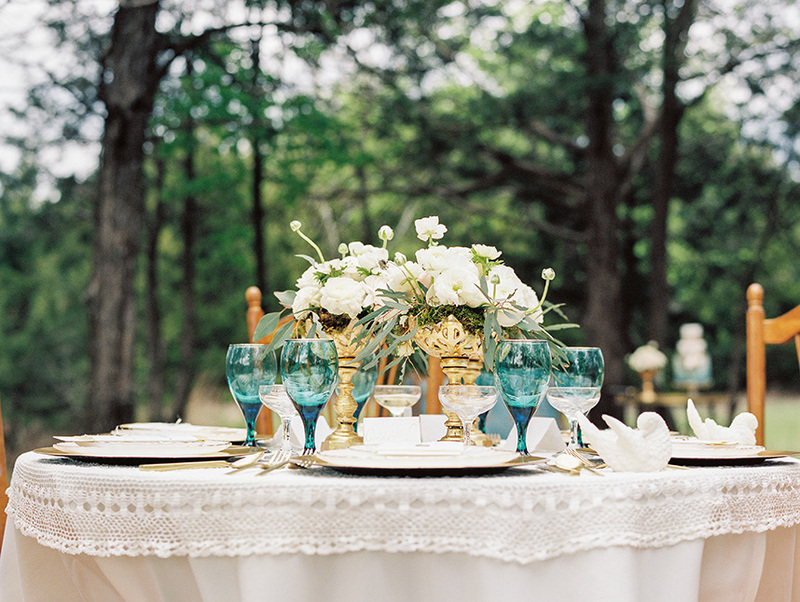 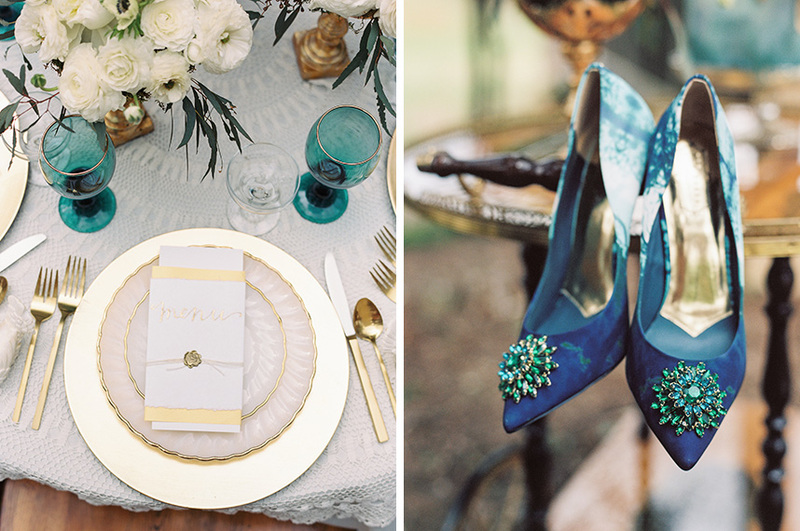 We absolutely love this teal and gold wedding inspiration shoot captured by Sheradee Hurst Photography! 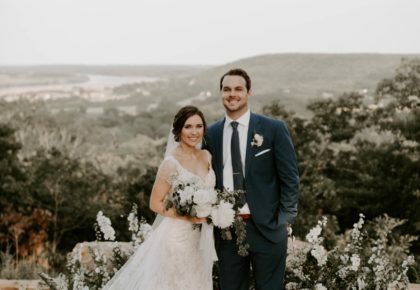 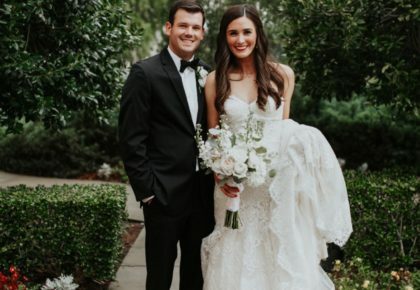 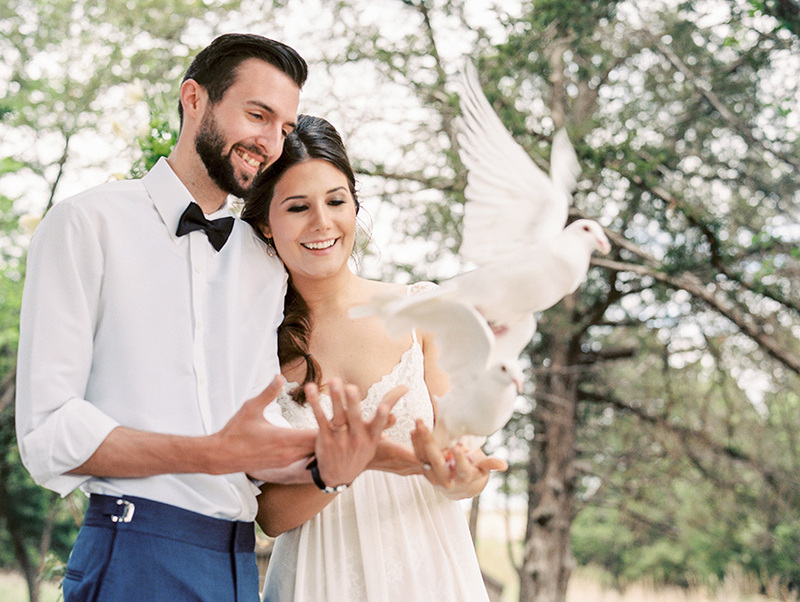 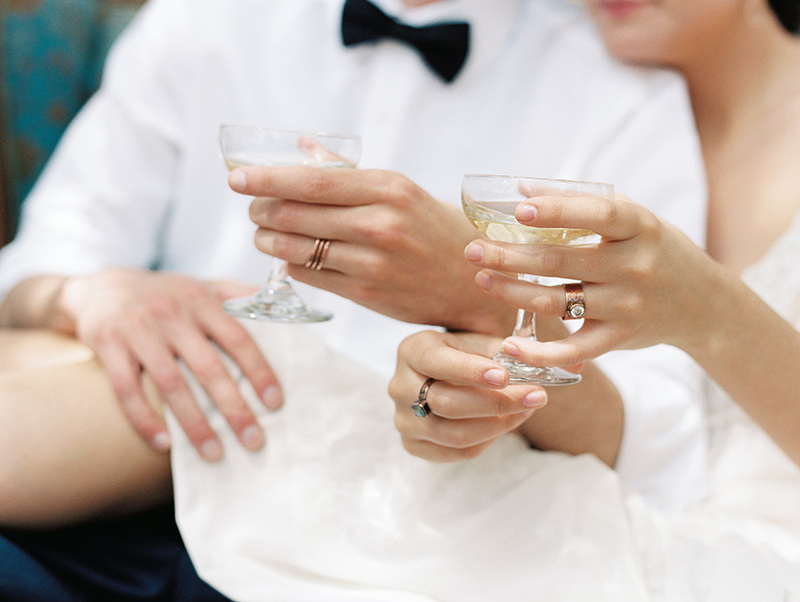 The stunning gown and grooms attire from J.J. Kelly Bridal Salon were perfectly paired for a simple but elegant look. 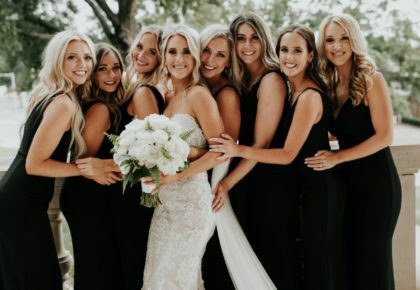 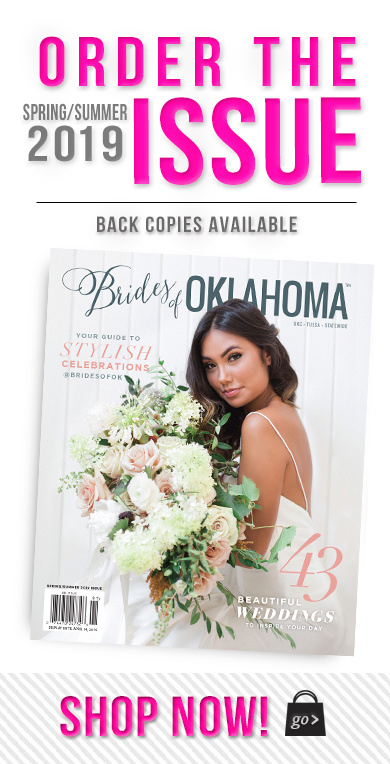 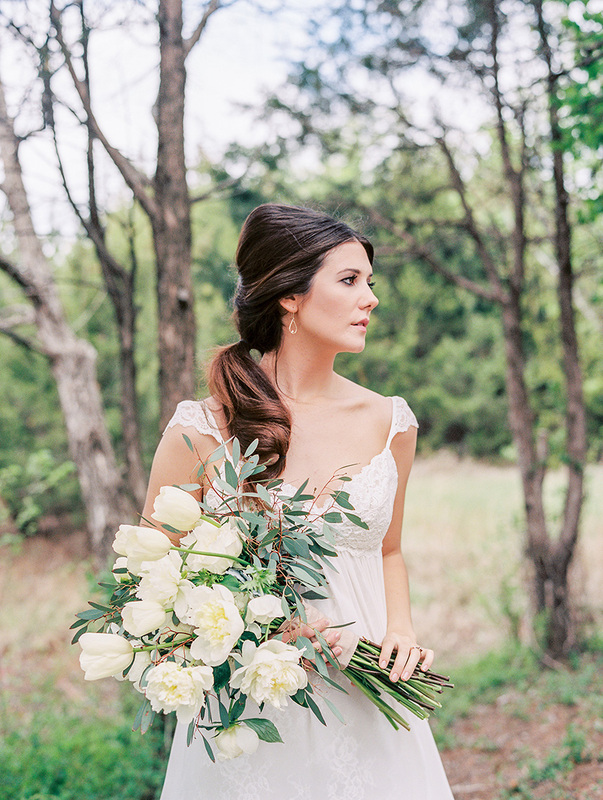 The model bride carried an oversized bouquet of white blooms crafted by Trochta’s Flowers and gracefully pulled off a side-swept updo styled by Trichology Salon. 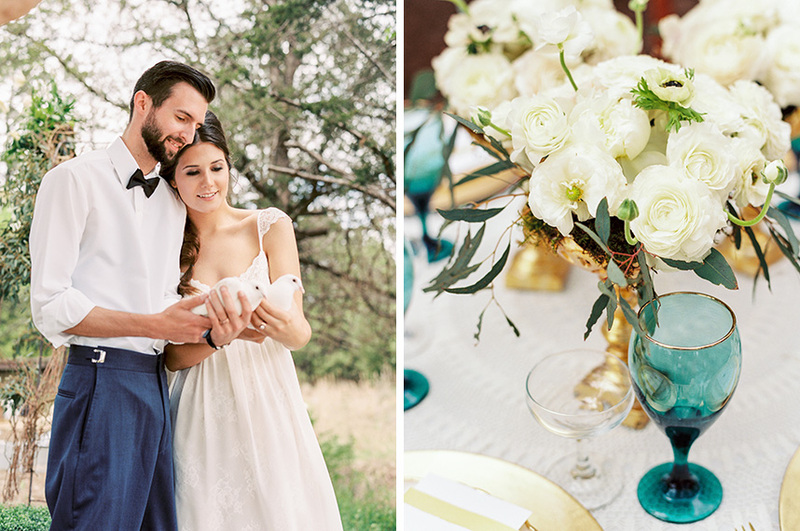 The gold details and pops of teal throughout the decor from Ruby’s Vintage Rentals added a subtle hint of royalty and glamour. 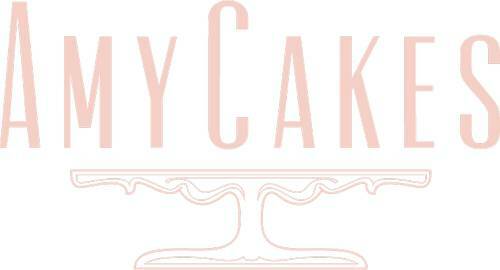 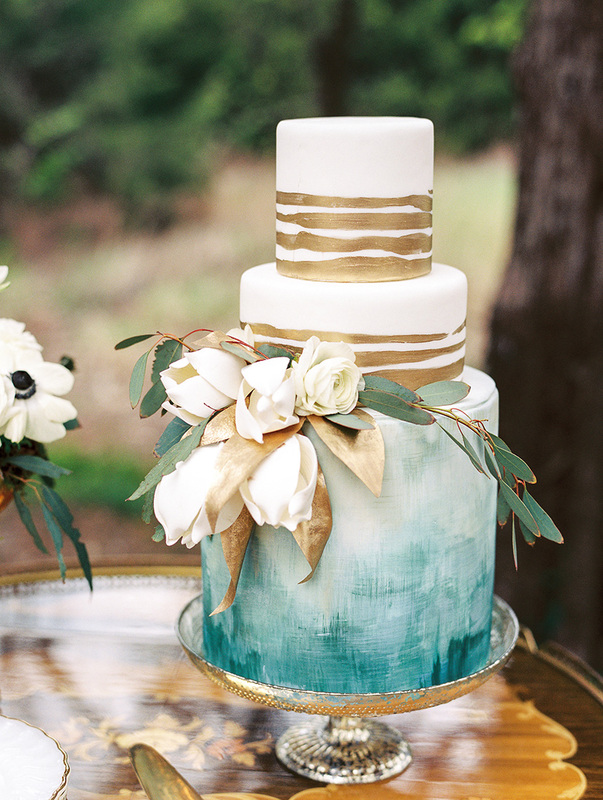 Amy Cakes outdid herself with this gorgeous watercolor cake that looks far too exquisite to eat. 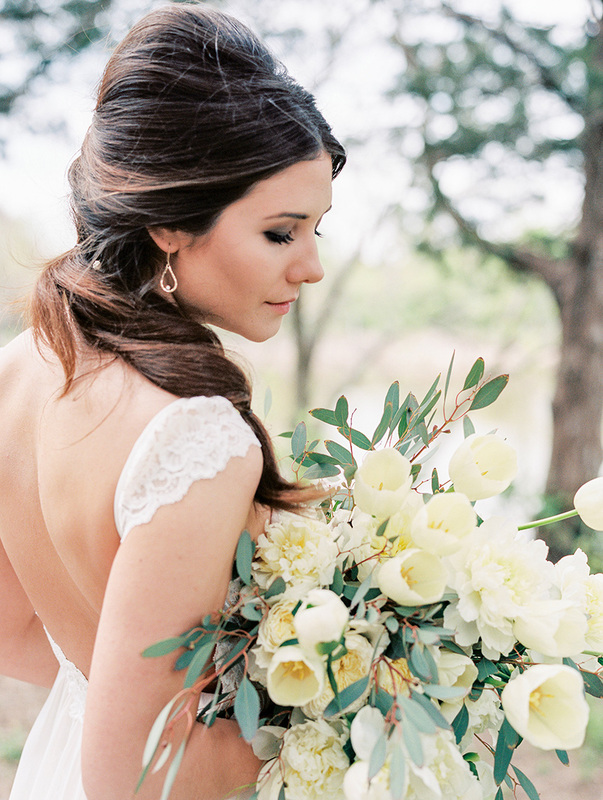 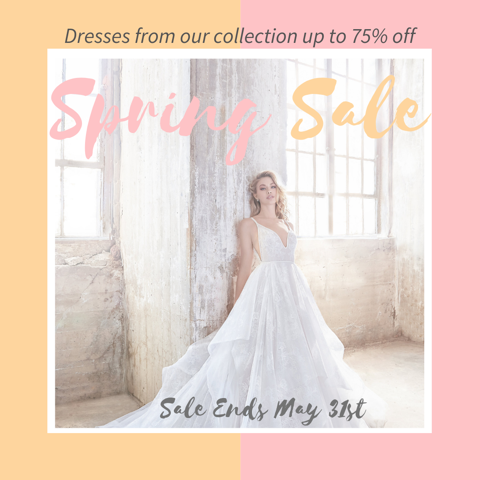 Enjoy this soft and beautiful shoot for yourself!